This is an English translation of the Norwegian article written by a blogger who wants to remain anonymous. The original Norwegian article was taken down from the blog it was posted on due to threats and harrassements from the organization Sjokoservice Norge, a story you can read all about in my blog post Xocai – the nasty tale of a Norwegian chocolate mafia. Thanks to Marcus Glenton Prescott for the translation! Note from Marcus: This article is translated to be as close as possible to the original version from 2010. With the exception of editor’s notes (marked with [ ]) I have not changed anything other than the language. Xocai is a chocolate sold in Norway through direct sales/MLM. 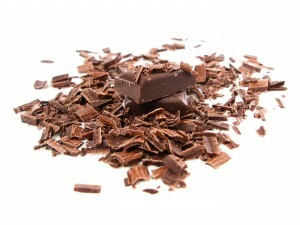 The chocolate supposedly has incredible health bringing properties and is made in a special, unique and secret way. [We]’ve looked a little more closely at some of these claims to see whether there’s anything to them and contacted 15 Norwegian distributors in an attempt to clarify some of the following points. Unfortunately none of them wished to shed light on the claims. Here you can find 30 things you should think about before starting up with Xocai. If you have any information that could help clarify it would be much appreciated if you could leave a comment. If cocoa contains high levels of antioxidants, this does not mean that our bodies can make use of them. “The amount that is absorbed into the body is low” according to Wikipedia. Bruswick Lab, itself often mentioned in the marketing materials, says “The ORAC assays are performed in vitro, in the test tube, and therefore do not determine the bioavailability within the body”. On their website MXI write: “We were told that it would take two weeks to complete the testing and the cost would be $5,000”. This seems like a marginal cost to a company like MXI, with revenue over a billion U.S. dollars. This test is a major part of the marketing of their products. It seems natural that they would allow other independent labs test the product. Even if the chocolate is rich in antioxidants this does not mean it’s an adequate substitute for fruit and vegetables as is claimed on several websites. The graphic representations on sjokoladenmin.no, helsekakao.no and helsesjokolade.no, for instance, want you to believe that 20 grams Xocai is an adequate substitute for a metaphorical ton of fruit. People who eat fruit and vegetables are less at risk of heart disease, diseases in the central nervous system and certain cancers. Since fruit and vegetables have a high antioxidant content, one has previously believed antioxidants can prevent certain illnesses. This was eventually tested through clinical trials. The trials however, show no such connection (1, 2). It is now claimed that the health benefits are caused by other traits in fruit and vegetables (1, 2). Especially flavonoids are cited as very beneficial in the chocolate. However, according to the Wikipedia summary “physiological evidence is not yet established […]. Research […] indicates that, following dietary intake, flavonoids themselves are of little or no direct antioxidant value. As body conditions are unlike controlled test tube conditions, flavonoids and other polyphenols are poorly absorbed (less than 5%), with most of what is absorbed being quickly metabolized and excreted”. Even though the health effects of antioxidants can’t be said to have been established or resolved yet, several studies point in that direction. However, more research is necessary to determine which, if any, benefits are directly linked to a high consumption of antioxidants. The way the marketing of Xocai appears today, how the research community has not yet reached a conclusion, seems to be taken far too lightly. Instead promising stand-alone studies are emphasized, and are put forth as evidence for the efficacy of the product. Numerous sites mention a MXI patent on the way the chocolate is produced. Sjokolade4you.no, amongst others, write that MXI have invented and patented the method. No websites state the patent number, though. A patent number is not a trade secret. The lack of this information makes me believe that there is no such patent or that MXI don’t own the patent themselves. It then seems reasonable to assume that similar products are available, produced with exactly the same technology (probably to a much lower price) and that MXI are trying to hide this. Who (what company) holds the patent on the technology/process used? What is the patent number? The product Ombar is suspiciously similar to Xocai. Is another company using MXI’s patented technique? Facit, participant in the debate on the blog, claims the patent to be held by Côte d’Or which again is owned by Kraftfoods. If this is correct you can infer that MXI’s chocolate is not unique, only bought from the major producers. This means that the claims made on many websites (e.g. sjokolade4you.no) concerning the MXI patent are incorrect. Alternative cocoa products already exist at a significantly lower price. On the website okosjolade.no you can buy 400 grams of cocoa mass for 149 kr [25 USD], that’s 37 øre per gram. By comparison, Xocai cost 1, 67 kr per gram. The Xocai chocolate is 448% more expensive than the product from okosjokolade.no. You then receive 100% pure product that’s not diluted with acai and blueberries. On the website sanabona.no you can get 464 grams cold-pressed raw cocoa for 189 kr [31, 7 USD]. That gives a gram price of 40 øre per gram. In other words the Xocai chocolate is 410% more expensive. The Sanabona and Økosjokolade products are organic, if anyone wondered. Ombar chocolate is being sold for 20 kr for 38 grams. This one also contains acai and blueberries and made under low temperatures (cold-pressed?). 100 grams of apple has an ORAC value of 4 000 and costs toughly 1, 50 kr [0, 25 USD]. Xocai Power Squares have an ORAC value of 3582 and cost roughly 10 kr [1, 70 USD]. Is Xoçai really the cheapest antioxidant in Norway like most websites claim? The product is distributed through MLM sales. According to MLM orations this kind of distribution gives a cheaper product because you get the product delivered directly and not through a store’s distribution system. The Xocai chocolate is produced in Belgium, refined in Canada and then sent to the Gout International warehouse in Skien. From here the product gets sent on to Norwegian customers. In addition seven links in your upline take percentages of the sales. In total 50% of the price is distributed between parties who are not involved with the distribution of the product at all. This makes the product significantly more expensive, in contrast to distribution to regular shops. Multiple websites, amongst them sjokosjokk.no and sjokoladenmin.no, beckon with the possibility of making big money. To break even (that one covers the cost of one’s own purchase of chocolate. The costs of marketing, websites and one’s own pay not included) one has to recruit 20 people to take a place below oneself in the pyramid. To achieve a gross (!) monthly salary of 20 000 kr [3356 USD] one must sell 364 boxes of chocolate a month to the pyramid below, according to sjokoladenmin.no. The average risk of a personal deficit when participating in MLM is 99,95%. Are these the kinds of odds you would recommend your family, friends and others? To earn money off selling Xocai chocolate one has to recruit two people who recruit another two etc. After 33 links in this chain one has recruited the entire population of the earth. Only the people on top of this pyramid actually earn money from this concept. MXI has existed for five years. Where in the pyramid will you enter now? Today there are roughly 4 000 participants in Norway (according to sjokoladenmin.no). 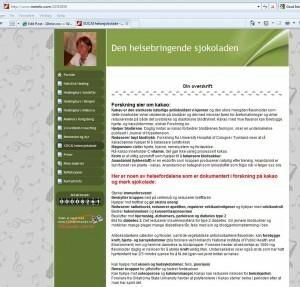 If one starts up today on will have 4 000 competitors, and eleven links until all of Norway has been recruited. Does that sound like good business? The website businessopportuniywatch.com rates the MXI concept 2/10. On sjokosjokk.no we can read that the product among other things improve your mental state, curbs your hunger, allows more intensive workouts, is diabetic friendly, gives weight control, strengthens your immune system (medically impossible) and improves dental health. At mereliv.no we can read that it helps blood vessels, reduces hypertension, strengthens the immune system, reduces appetite, protects against stroke, is good for diabetes 2, can prevent cancer, helps against eczema and skin disease, cleanses the body of toxins, improves digestion, helps against depression, lengthens lifespan and gives healthier and more intelligent children when breastfeeding. Aren’t domain names like helsesjokolade.net [Trans: healthy chocolate] and helsekakao.no [Trans: healthy cocoa] inherently claims of health effects? 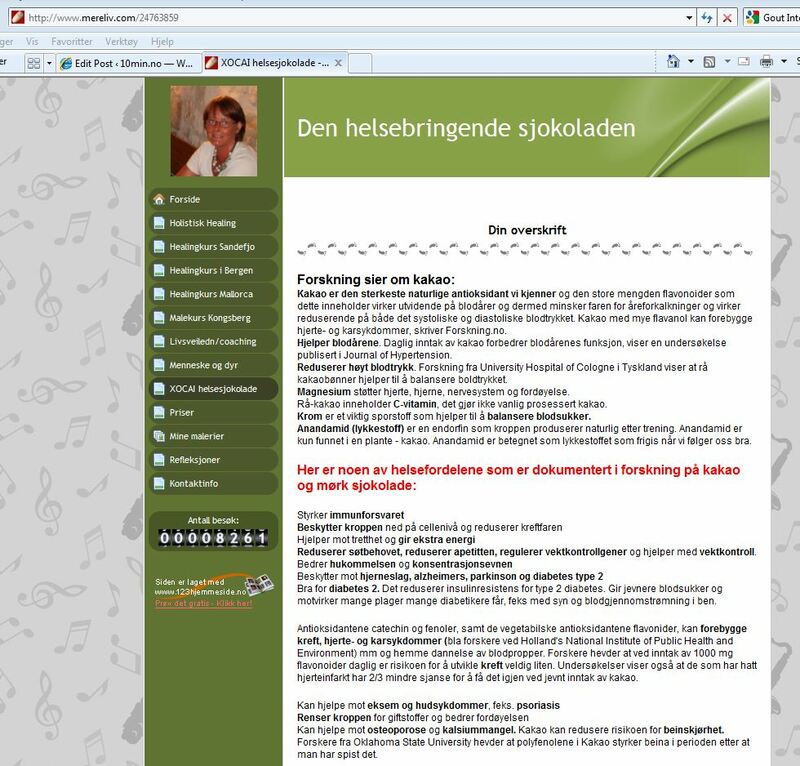 Several websites (among others sjokolandenmin.no) state a recommended daily dosage. Norwegian authorities have never given such recommendations. From March 1st 2010 the EU rules on the alleged health effects of food will apply also in Norway. These state that the producer must document the effects. The documentation must be approved by the EU scientific committee (EFSA). Where’s Xocai’s approval? Why is the chocolate marketed with claims of health effects without approval? The research referred to is general research on chocolate. I.a. forsking.no. There are no references to independent research of the health effects of Xocai and how much better it’s supposed to be in comparison to other chocolate. At my request and in the comments section for this case, a lot of “documentation” has been presented. The problem with this is that it is exclusively obtained from MXI’s own marketing material or from Steve Warren, who in no way can be said to be an independent source, since he’s the medical adviser for MXI Corp. Many websites (I.a. sjokolade4you.no) use anecdotes in their marketing. This kind of marketing has been proven highly effective. The problem is that these stories lead the customer to believe that the product has proven health effects. If one was to believe every anecdote; all religion would be true, we would be surrounded by UFOs etc. This is evidently not the case, simply because an anecdote is a subjective experience that can’t be well scrutinized. To document causality scientific research must be done to control for the variables. Using anecdotes in marketing is typical of products/concepts where no scientific evidence exists. Recommended reading: Xocai, a healthy chocolate? Is there health in every bite? Xocai, a healthy chocolate? Is there health in every bite?